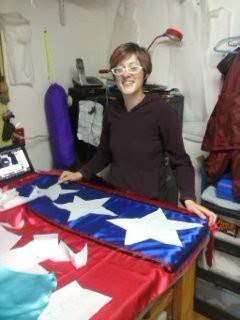 Here I am with my good friend Tina LaChance, seamstress with Red Thread Sewing in Flagstaff. 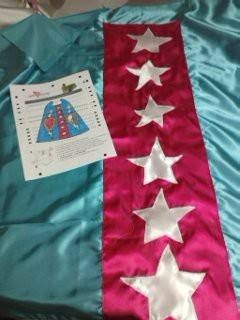 We are making super hero capes designed by children who are in the hospital. The organization Art2Love (see Facebook link below) helps kids with diseases and disabilities by bringing their creations to life. from their page: "art2love empowers, encourages & elevates kids in crisis through art by bringing each child’s drawing to life as a soft sculpture or heroic cape.Hope & joy!"